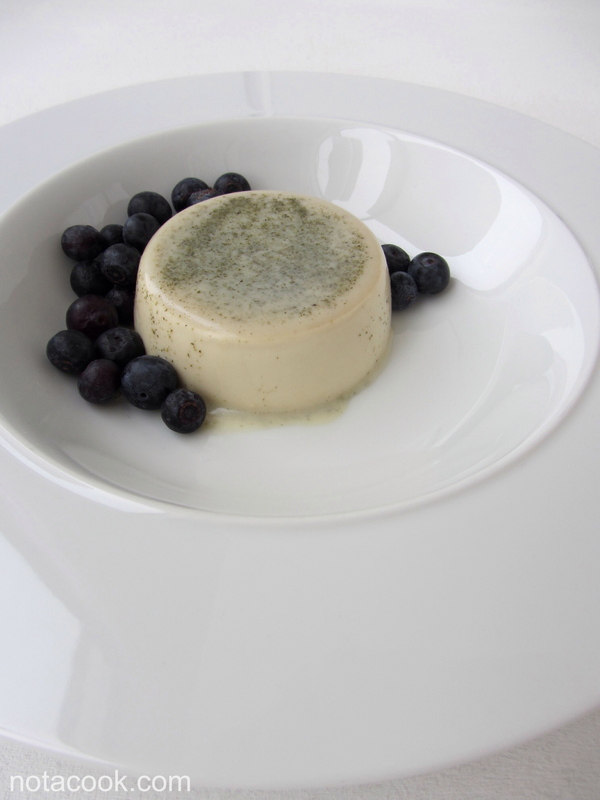 A while back, I made a simple Panna Cotta. It is one of my go-to desserts to make whenever the hankering for something light and creamy takes hold, especially when the days are warm. I recently had a couple dinners and a brunch where this classic Italian dessert rounded out the meals. Of course having to make so many portions, I took the opportunity to experiment a little bit with my existing recipe. After trying a few different types and forms of green teas, I ended up choosing sencha (a Japanese green tea) for its full and rounded, yet still mild, flavor that compliments the soft and smoothness of the cream. 1. Sprinkle the gelatin into a small bowl with the water, let stand 5-10 minutes to allow gelatin to absorb the water. 2. In a small saucepan, combine the cream, milk, sugar, sencha green tea leaves, and salt. Bring to a boil, then reduce heat and simmer for one minute. Stir mixture constantly to prevent it from boiling over. Remove from heat. 3. Mix in gelatin, gently stirring for one minute to ensure it is thoroughly dissolved into cream mixture. Pass mixture through a fine mesh strainer to remove tea leaves. 4. Divide mixture into 6 ramekins, chill in refrigerator for at least 5 hours until set. 5. When ready to serve, to remove the panna cotta: run a paring knife around the side of each ramekin, then quickly dip them into boiling water. The panna cotta should now be separated from the ramekin when lightly pressed on. Invert them out onto serving plates and serve with the blueberries. * Can be made the day before and refrigerated overnight. Just cover the panna cotta with plastic wrap to prevent a skin from developing on the surface. Hey there and thank you for the kind words! Yes please do give this recipe a try and let me know how it goes!